'Twas the night before pay day and all through the pantry, nothing to eat – just bare cabinetry. It’s a grim scenario that we’ve all experienced before – we’ve blown out our budget on UberEATS and online shopping, leaving our dinner options slim and sad. It’s not all doom and gloom, though. There are ways to make the final few meals before payday bearable – you just have to get creative! Take stock of your paltry staples, have a crack at these ingenious recipes and compliment yourself on your resourcefulness. When money is an issue, it’s permissible for authenticity to go out the window. Pad Thai is a delicious dish that can be adapted for our tastes (and available ingredients) and still be endlessly satisfying. Grab that packet of rice noodles you’ve never glanced at since buying and pair it with some chicken or tofu, veggies (bean sprouts, baby corn, carrot zucchini), peanuts (or peanut butter) and some sauces. It might be cheating, but who’s the victim? Not out tastebuds – this recipe boasts some zing. When money is tight, pizza is your best friend. The versatility and value for money is unmatched, but you can also get away with avoiding ordering a five-dollar value pizza if you happen to have a packet of tortillas and a handful of imagination handy. 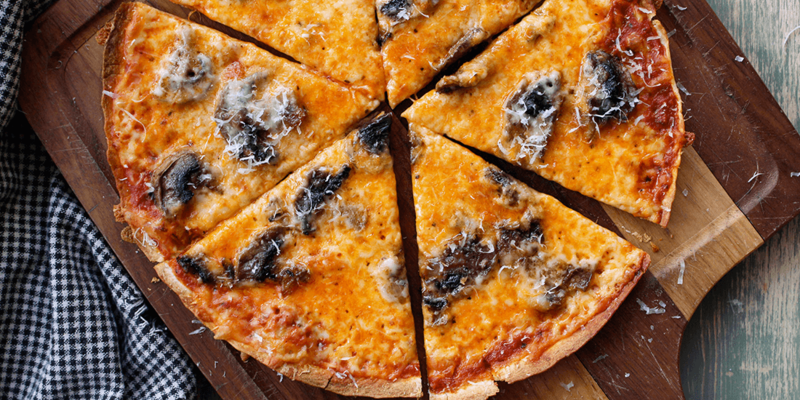 Simply crisp up a flour tortilla, spread some sauce, throw on a sprinkling of cheese and add some roughly chopped toppings of your preference and voila – you’ve got a thin-crust personal pizza of your own creation. Make a couple and take some to work and you’ve got yourself a reliable option that’s cheaper than ordering in. Two-minute noodles and instant mi goreng packets are usually the first things to disappear from your pantry when you start making money – but for the perpetually penniless it’s always a good idea to have a few packets around. When you find yourself skint, ol’ reliable here will keep you going and you can jazz it up in a multitude of ways. 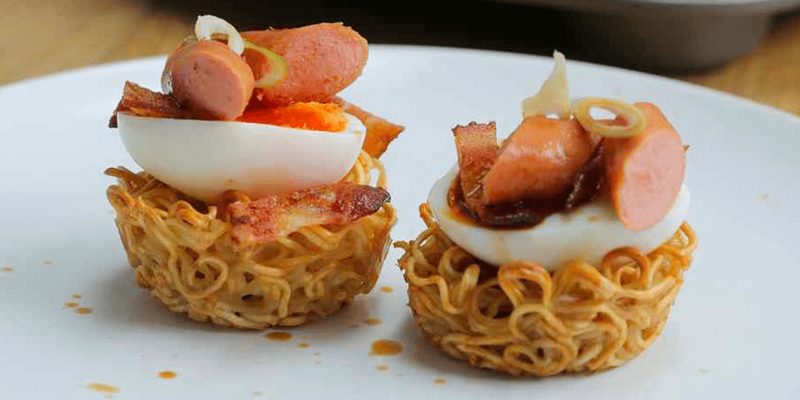 This recipe turns instant noodles into crispy baskets, which can be filled with egg, bacon, sausage or whatever you have lying around. Honestly, two-minute noodles have never looked so impressive. It’s safe to say most of us have a few tins of tuna lurking in the far corners of our pantries and desk drawers – bought as a last resort for situations just like this one. 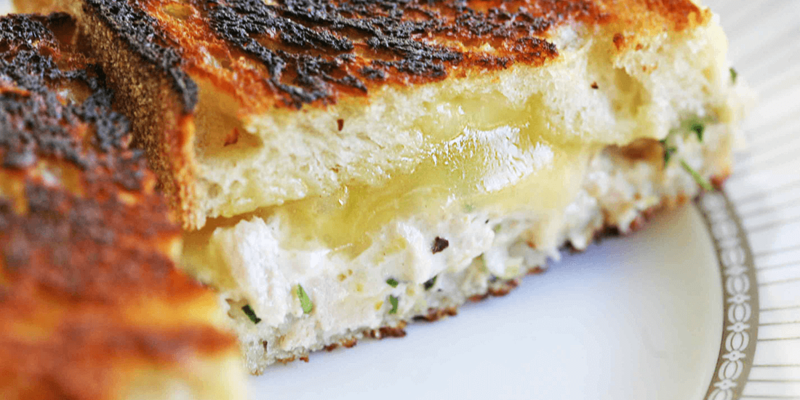 It’s easy to turn tuna from drab to fab, just get some bread, cheese, a tomato, chives, tarragon, lemon juice and mayo (you’ve probably got a bottle in the fridge somewhere – just check the use-by date first) and bada-bing, baby you got what you need for a tasty tuna melt. Mix it all together, make a few sandwiches and toast those suckers – we guarantee this sanga will have your soul singing once more. 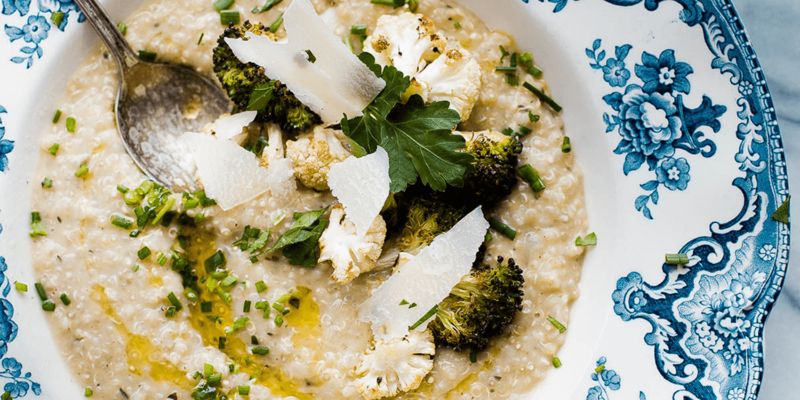 When we think of risotto our palms immediately get sweaty. It’s not exactly an easy dish to master, but if you substitute rice with quinoa then everything becomes a bit easier. This quinoa risotto recipe uses pureed cannellini beans or navy beans for consistency, and if there is one thing we have a surplus of in our pantry its miscellaneous cans of beans. Quinoa risotto is nutritious, satisfying, and can be made in bulk, which means its great to stretch out over a few meals when necessary. When you have a bit of extra spare change this recipe can be dressed up to impress company – just some food for thought.